Joy from the World is Khemistry’s Christmas card with a digital twist. The traditional DM piece was delivered to clients, containing a die-cut card that folded into a cute tree ornament. But, in true Khemistry style, there was a surprise in store! 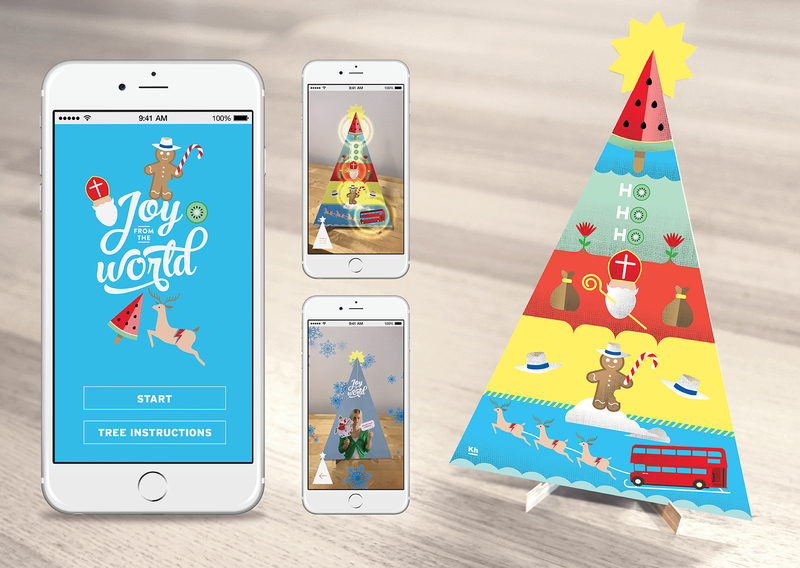 The DM piece invited our clients to download a bespoke Joy from the World App, and turn their phone towards the tree, which lit up on screen with a VR activation. Each day, for five days, a different layer of the tree was unlocked, sharing Christmas stories from around the world, as told by Khemistry’s very multicultural staff. Joy from the World made a big impact with our clients, generating positive word of mouth and social sharing. It also helped us start fresh conversations with clients about our in-house VR capabilities, and about how we could create a little bit of digital magic for them in 2017.